Our Complete Line Of Tools Are Made In The USA! The Pipe Flange Aligner saves valuable fit-up time, in most cases it cuts fit-up time in half and eliminates the frustration of balancing a level on the pins. 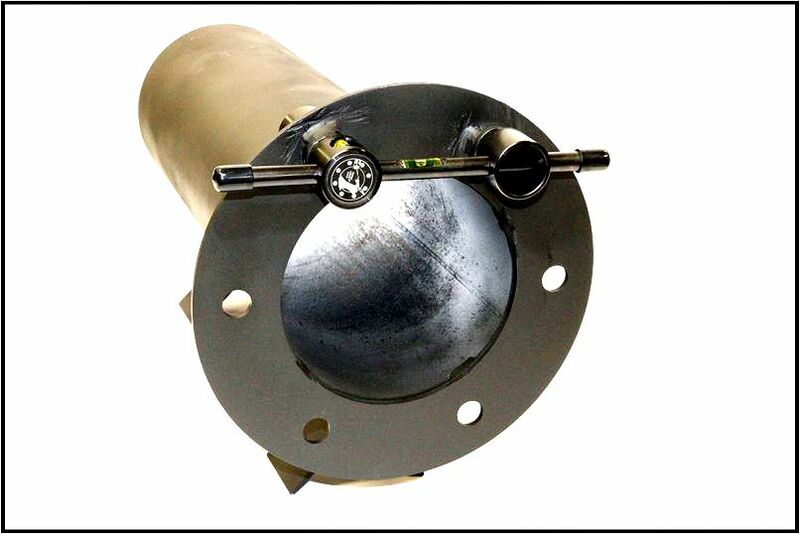 The Magnetic Centering Heads are designed to establish and mark a center-line on a pipe or tank. 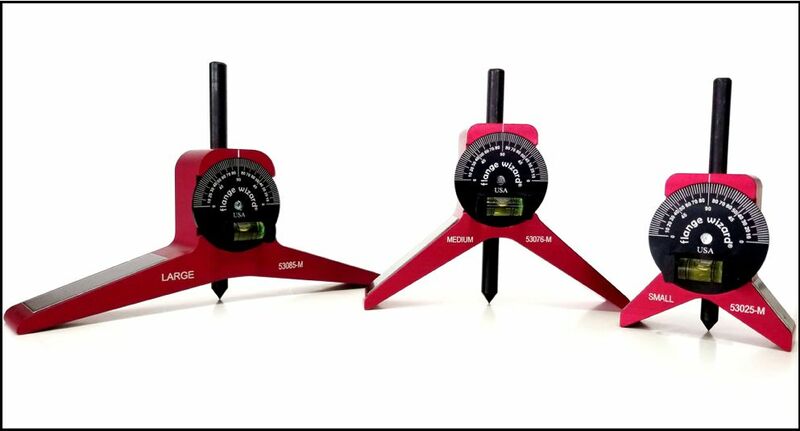 This tool is a must for the welder’s or fitters’ toolbox. 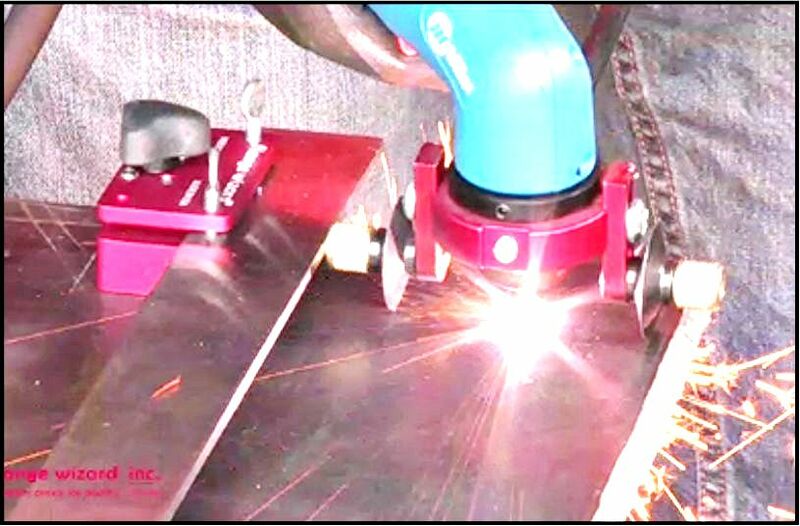 The Plasma Cutting Guide assists in cutting holes from 5/8” to 36” in diameter. Can be used to cut medium to large circles by using just one wheel. Why choose Flange Wizard® Inc.? This is your One Stop Site for "The Welder's Choice for Quality" in pipe and structural fabricating tools and burning guides. Since 1981 Flange Wizard® Inc. has been designing and manufacturing quality tools for welders and fitters. Our products consist of flange aligners, two-hole pins, centering heads, wrap-a-rounds, angle and saddle markers, levels, conventional and plasma burning guides, along with various other layout tools. All of our products are designed for welders by a welder, made and assembled in the U.S.A. and proud to be "The Welder's Choice for Quality". Customers include welders, pipefitters, automotive, plumbing, construction, ranch-hands, and you.